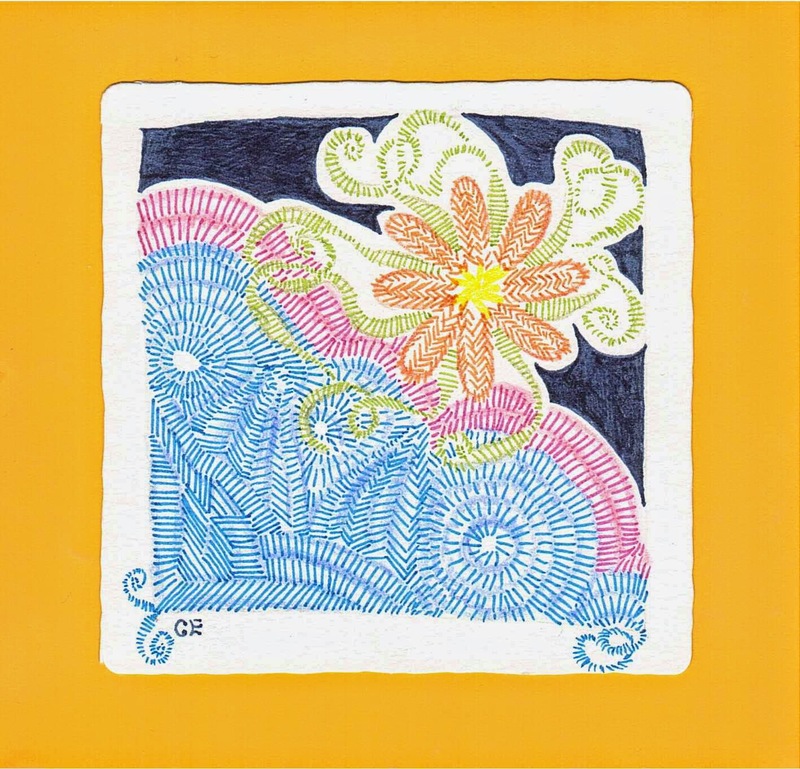 The Diva's Weekly Challenge #203 was an UMT (Use My Tangle) and we had to use the tangle Athitzi by Eleanor Holt. It was so grey and cold outside that I wanted some colours and flowers. It's a fun tangle and it was Zen to tangle away. I had a nice afternoon with a new class of 5th and 6th graders (11 to 12 years old). They are so wonderful and curious it will be a pleasure to teach Religion. We had some kind of a philosophical lesson today. We talked about the big questions of life. It's a good possibility to get familiar with each other. After such lessons I know again why I love to teach Religion. It's not always this easy because a lot of kids don't know a thing about Christianity and are not willing to learn something about it. Very nice interpretation! Love the colors! Oh, such color. I imagine it did brighten your day, making this tile. Fun to look at and so cheery! Einfach wunderschön! Gefällt mir sehr! A great tile for a cold day!! !